In March 2017, I commented in several international news outlets the Dutch elections, including the Portugese daily news paper Publico, here and here, and on ThinkProgress. Since 2016, I regularly contribute to Brainwash, an online forum for original ideas, including on the King's speech in the Netherlands and the problem of misinformed voters. On 29 June 2016, I have given a presentation at the CPB Netherlands Bureau for Economic Policy Analysis Workshop Political Economy of Reforms at the Dutch Ministry of Finance in the Hague. You can find the program here. 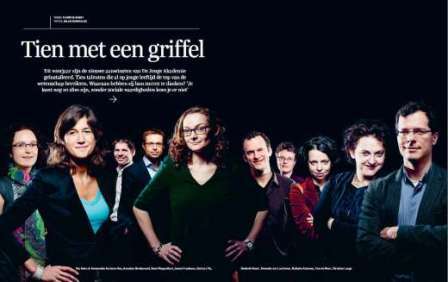 On 7 November 2015, the news paper Het Parool indicated me as one of 9 scholars from Amsterdam below 45 years of age who is (also) successful abroad. You can read the article (in Dutch) here. On 23 October 2015, Martijn Wieling and I published on behalf of The Young Academy (De Jonge Akademie) an op-ed on the negative implications for some young researchers who have received a highly competitive research grants of a new Dutch law on labor regulations (Wet werk en zekerheid). You can find the article on Science Guide. In September 2015, I was one of the 25 nominees across all disciplines for the New Scientist Talent Award 2015. A news item on this appeared in on the website of Ad Valvas, available here, and an interview in Het Parool. May 8, 2015 I will give a presentation in the Symposium on the scholarly contributions of the late Uwe Becker, which is organized to honour Uwe's lifelong contributions to the research field of contemporary political economy. February 11, 2015 I gave an interview on the radio in EenVandaag entitled 'Regeringspartijen wijzigen verkiezingsprogramma vaker' (Governing parties change their party manifestors more often), based on the AJPS article I co-authored with Gijs Schumacher, Marc van de Wardt & Michael Baggesen Klitgaard. Another interview (in Dutch) about my research appeared in December 2015 in New Scientist, a monthly popular science magazine. You can find the interview here. In September 2014, an interview (in Dutch) on cuts in the welfare state appeared on De Kamer, a platform for sharing knowledge about the Netherlands so as to improve for example policy making. June 26, 2014 I gave my inaugural lecture (oratie) entitled 'Riskante Politiek' (Risky Politics). A somewhat longer version of the text of the lecture is available here (in Dutch). June 6, 2014 I gave a talk at Bessensap, an event where scientists meet the press. In this talk, I argued that during the crisis, not all policy proposals on the welfare state where in the direction of retrenchment. You can a report about the talk (in Dutch) here. The article on which I based the talk is available here (pay wall). Early April 2014, a second contribution about the welfare state appeared on Kennislink, entitled 'Waarom de verzorgingsstaat de crisis overleeft' (Why the welfare state survives the crisis. You can find the article (in Dutch) here. In the April 2014 issue of Elsevier Juist, you can find an article about the new cohort of the De Jonge Akademie (The Young Academy of the Royal Dutch Academy of Sciences), including me, entitled 'Tien met een griffel' (Ten with a star) . 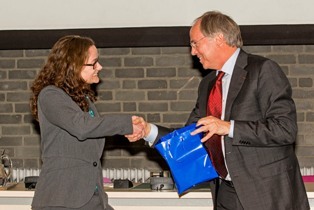 On March 20, 2014, Hans Clevers, president of the KNAW, installed me as a member of the De Jonge Akademie The Young Academy of the Royal Dutch Academy of Sciences). For the so-called Lustrum blog of our Faculty, I wrote a contribution relating to the new book of Kees van Kersbergen & myself in March 2014. You can find the piece, entitled 'Tijd voor "grote vragen" over de verzorgingsstaat' (Time for "big questions" about the welfare state) here. The same contribution also appeared on Kennislink. If you read Danish, you may also want to check out this interview with Kees van Kersbergen about our book. On 27 January 2014, Sciencepalooza, a website with science news, posted an interview about my work. You can find the interview (in Dutch) here. 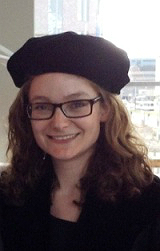 It is part of a larger series of interviews with the 10 new members of the Young Academy of Royal Dutch Academy of Sciences (DeJongeAkademie). In December 2013, an interview on Dutch pension reform appeared in AZL Perspectief. You can find the interview (in Dutch) here (pp. 8-9). In the past months, I wrote several guest contributions (in Dutch) to the Dutch blog StukRoodVlees, which connects political science research with topical issues, which you can find here and here. On 10 October 2013, Bureau de Helling, the scientific bureau of the Dutch Green party (GroenLinks), posted an article in which I respond - per their request - on their party manifesto for the elections for the European parliament of 2014. You can find the article (in Dutch) here. On 28 May 2013, AdValvas printed an interview with Willem Trommel and myself on the societal value of the social sciences and on the (increasing) challenges of making also non-academic contributions. You can find the interview, in Dutch, here. The interview relates to a book edited by Marieke van Genugten, Marlies Honingh and Willem Trommel - and in which I wrote a chapter - entitled Passie voor de Publieke Zaak (Passion for the Public Cause). You can find more information on the book here. On 9 November 2012, de Volkskrant wrote an article on the basis of an article of Gijs Schumacher, Kees van Kersbergen and myself on whether governing parties of all political stripes are punished for retrenching the welfare state, as hitherto was assumed in the literature. We found that so-called pro-welfare image parties, which have built up and supported the welfare state since WWII (i.e. the social democrats and Christian democrats) are punished for retrenchment. Conversely, negative welfare image parties (conservatives and liberals) are not systematically punished for retrenchment. You can find the (Dutch) article in de Volkskrant here. The journal article is available here (gated). In April 2011, I wrote an article for De Groene Amsterdammer for their special on the 10 biggest social problems of the Netherlands. I argued that we should invest more in young children and that the role of the (welfare state) is crucial in this regard. You can find the article (in Dutch) here.